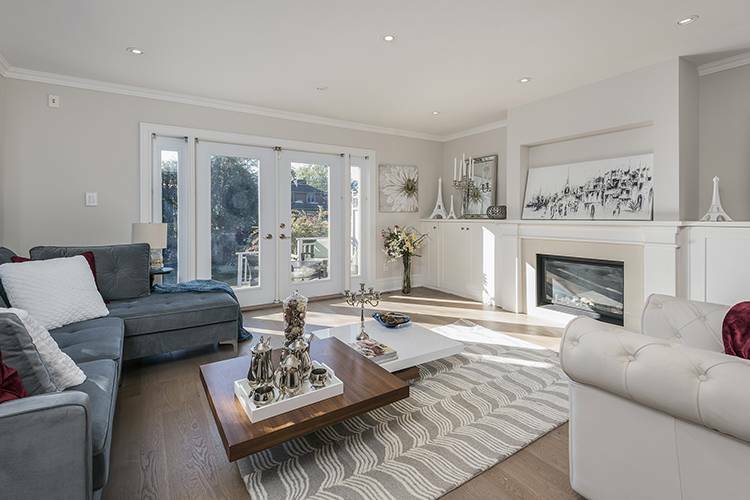 If you’ve read Toronto Home staging companies like Baraka GTA Home Staging last blog entry, then you know that staging a serene master bedroom is key to any home sale. But along with staging the master bedroom comes perfecting its focal point – the bed! From bedding to pillows and even bed placement, read on for some staging tips to help you prepare for selling your home. If your room has a focal point such a bay window or a patio walk-out, the location of your bed should complement it. You can do so by placing your bed across from the focal point. When walking into the room, the footboard should be seen first, and be located furthest from the entrance. Without a focal point in the room, the best place to put the bed is against the longest wall. Regarding specific measurements, leave 1.5 to 2.5 feet of clear space around the bed. In a smaller room, the bed is automatically the focal point due to its size. To make a small room appear larger, switch a king bed for a queen, or a queen for a double. Crisp white linens, paired with coloured accents, can be a perfect complement to your existing wall paint colour. In doing so, keep your decor, especially bed linens, neutral. You want as few negative distractions as possible, and dated fabrics or obnoxious colours can be a turn-off. Using oversize linens is a professional stylist’s trick. Use linens that are a size larger than your bed to make your bed look cozy and luxurious. As you normally would, make the bed and iron the bed skirt. Lay the top sheet face down; you’ll fold it back to reveal your linens and make the bed look more inviting. Lastly, drape the coverlet at the end of the bed, on an angle across one corner, or folded neatly across the end of the bed. To complete the scene, use two simple side tables on either side. Remove all personal items and place one or two decorative items on the nightstands. Use bold, dramatic lamps next to the bed to create impact and add extravagance. Make sure they’re turned on when buyers are visiting your home to add warmth to the room. If you are selling your home, consider hiring a professional home stager. While it’s an added expense, you might end up making much more in the final sale. If you are looking for a professional home stager in Toronto, contact Baraka GTA Staging at 416-992 9494. And, be sure to stay tuned to the Baraka blog for more details on perfect pairings of linens and beddings.